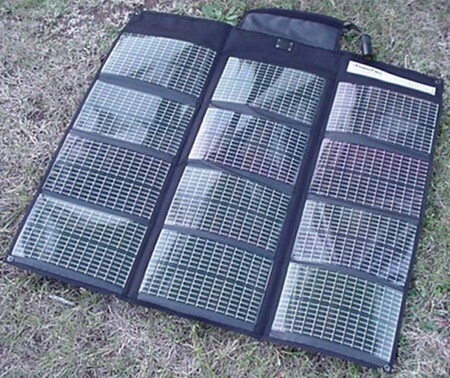 This is the Powerfilm 20 Watt folding, flexible thin film solar panel. 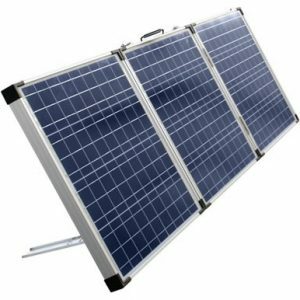 It is incredibly lightweight, flexible, and will produce more power over the course of any day than any other 20 Watt solar panel on the market. Period. Why? 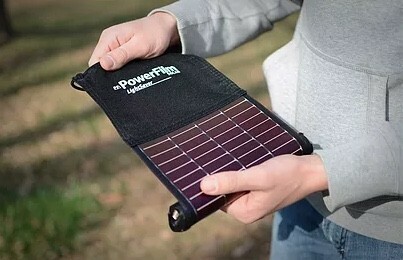 Because Powerfilm is more sensitive than crystalline, it reaches threshold voltage & starts charging your battery pack earlier in the day, and stay charging later in the afternoon. 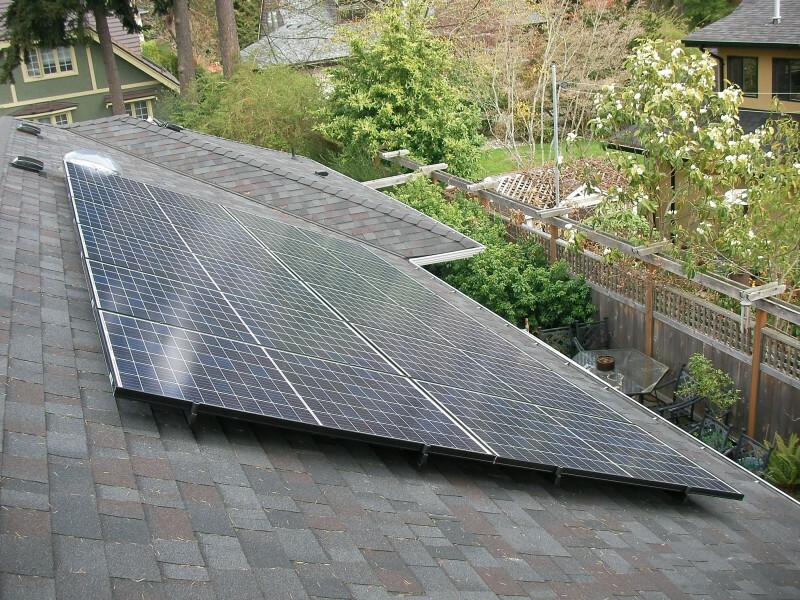 This bigger bell curve of power means that you get more watt-hours of power, with faster deployment, and easier packing than any crystalline solar panel solution. 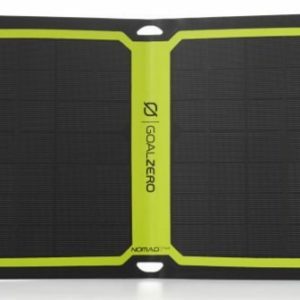 You can charge directly from this panel, but when you need to store power for use anytime, day or night, these battery packs are the way to do it. 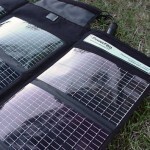 PowerFilm foldable flexible solar panels are extremely lightweight & compact. 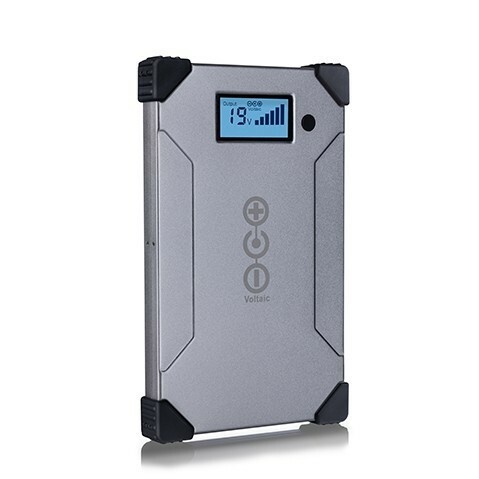 They are designed for users who need lightweight portable & remote power for laptops, cell phones, satellite phones, GPS units, & other. 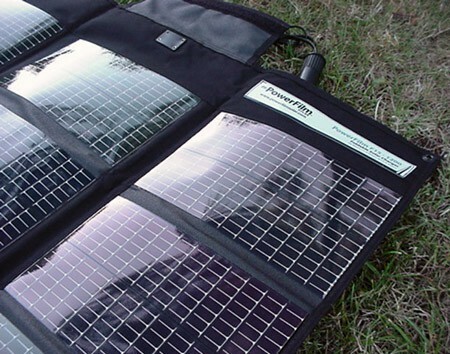 PowerFilm are about as thick as an ordinary canvas tarp, and almost as pliable! 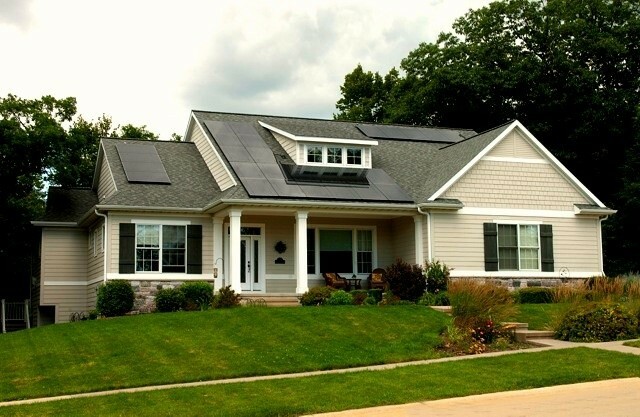 PowerFilm solar panels offer the best chemistry for off-season use and higher latitudes due to excellent solar panel sensitivity in low-light & partial shade. 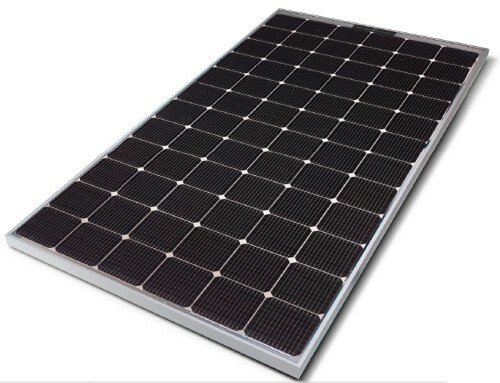 PowerFilm solar panels are monolithically integrated which means they are manufactured in layers. 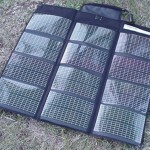 This eliminates the need for damage-prone manual connections of individual solar cells. 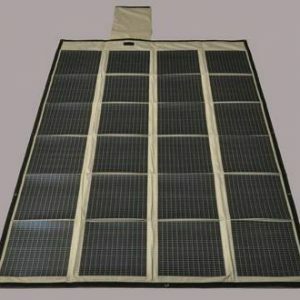 PowerFilm flexible solar panels are made using amorphous silicon, and are naturally free from harmful heavy metals like cadmium that are used in other technologies. 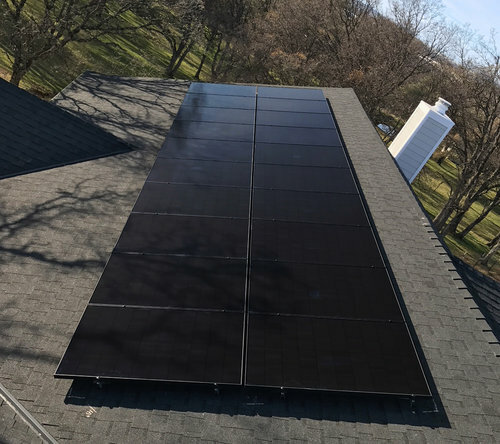 Originally designed for military use, PowerFilm panels perform well in diverse conditions such as hot sun, and partial shade. 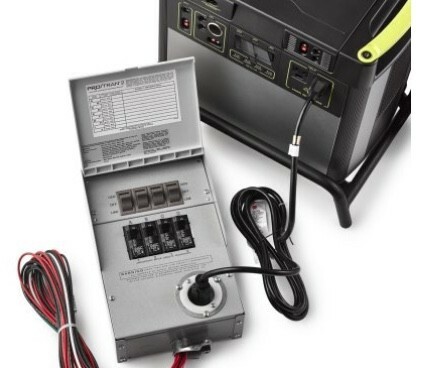 They come ready to connect to batteries and an array of handy accessories using marine-grade plug and play connectors. Rugged corner grommets are provided for tying the panels to boat decks, backpacks, tents, and more. 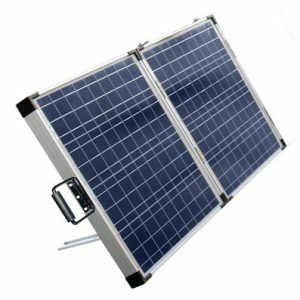 Portable solar power has never been more convenient! 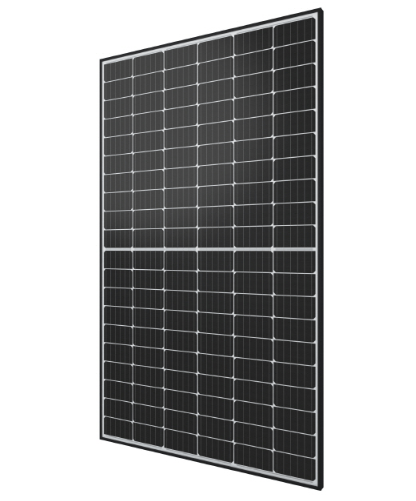 Powerfilm panels come in a variety of sizes: choose from 5 Watt, 10 Watt, 20 Watt, 30 Watt, 60 Watt, 90 Watt, or 120 Watt output panels that pack easily for any excursion. 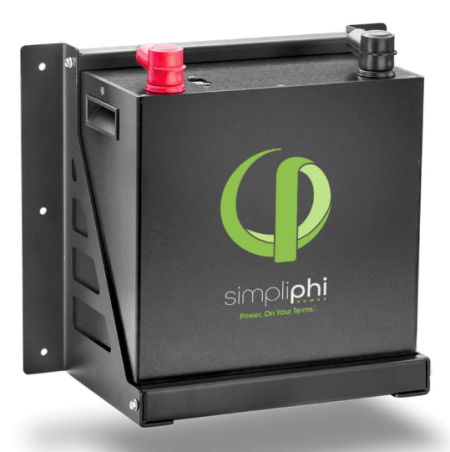 Also available in waterproof rollable models for marine applications or wet locations. 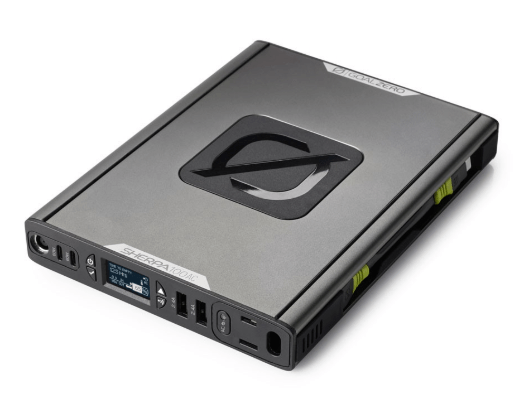 These outputs are provided at 15.4V, which makes it easy to integrate with almost any battery system. 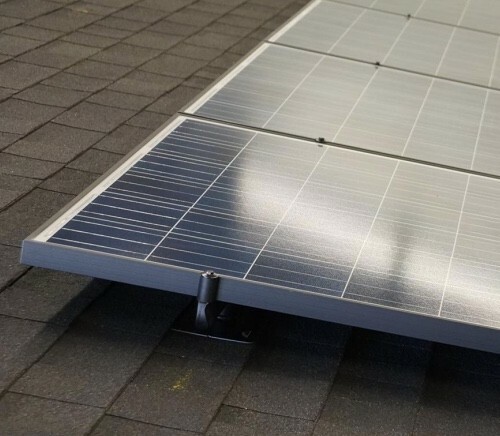 PowerFilm panels come with a female cigarette socket outlet. Choose other/additional connection options shown below to suit your application. A reverse current blocking diode is built-in. 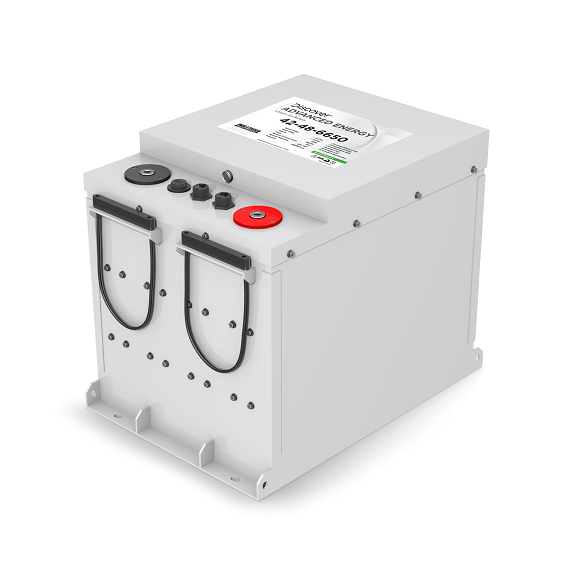 Need PowerFilm cables or connectors? 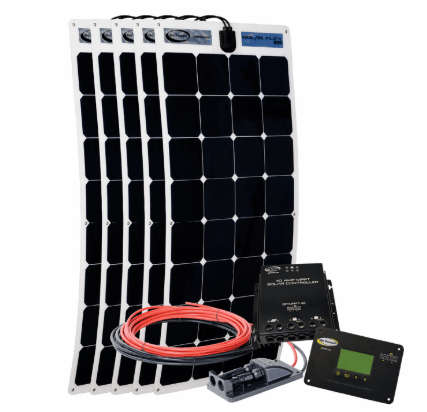 Extension, daisy-chain, battery clamp, charge controller cables and more are available.